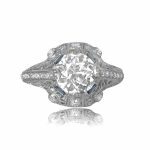 A delicate original vintage engagement ring that centers a lively 0.66 carat old Europea cut diamond, I color, and SI1 clarity. 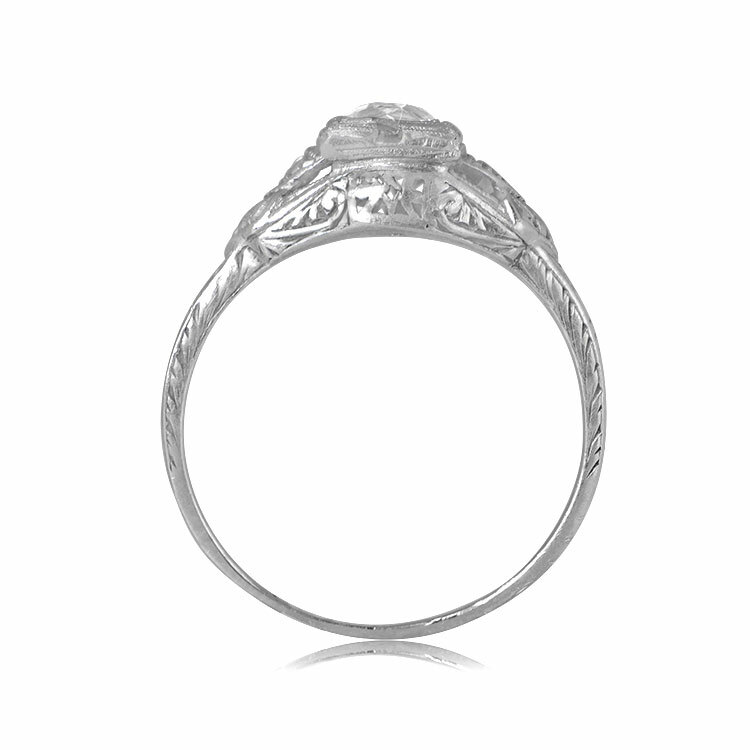 This ring is further decorated in intricate hand-engravings. 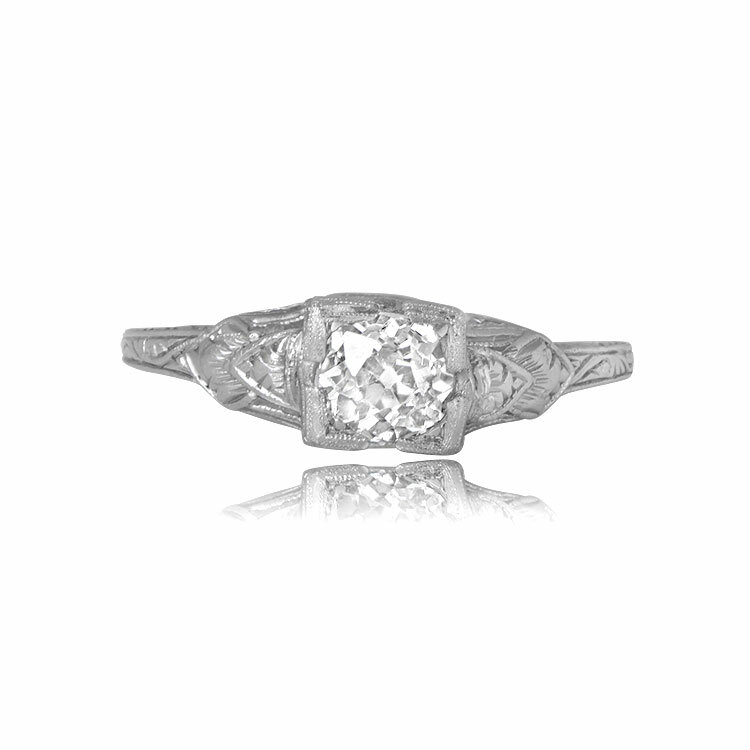 This ring is platinum and is an original Art Deco engagement ring. 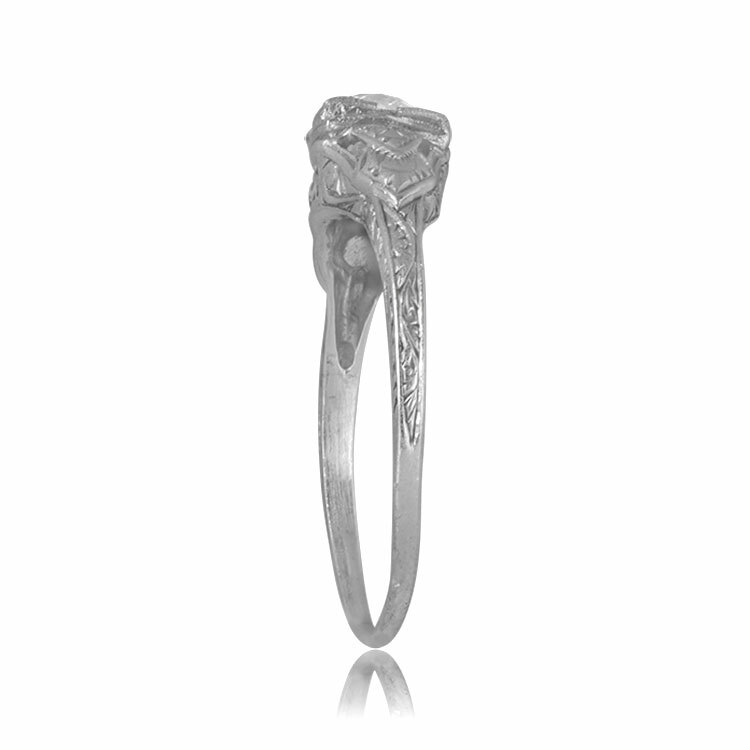 The measurements of the center diamond are approximately 5.20mm x 5.15mm x 3.62mm. 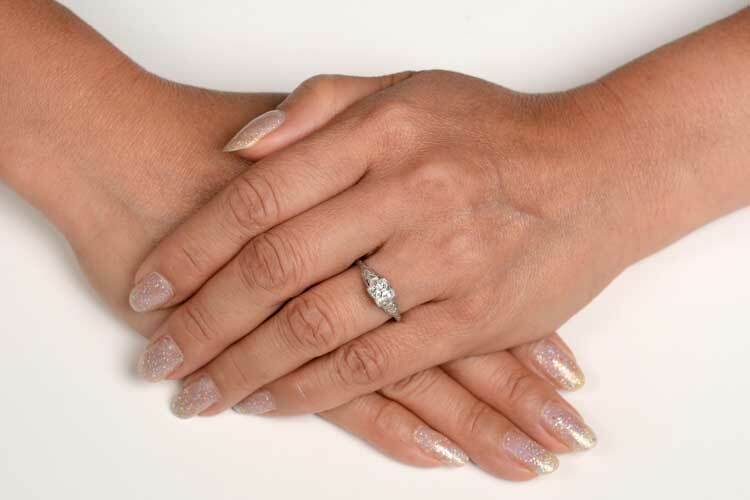 The current size of this ring is 7.75 and can be resized at no extra cost. 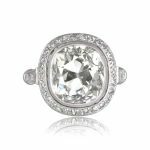 SKU: 12137 Category: Vintage Engagement Rings - Contact us and request additional pictures.